Hanoi (VNS/VNA) – A new general education programme aims to overhaul curriculum at the country’s schools, but local educators say they need more time to roll out the changes. The programme is scheduled to take effect during the academic year of 2018-2019. But at a conference held recently to review the previous year and plan for the next, education departments in localities across the country proposed delaying the implementation until 2019-2020. They say more time will allow them to better prepare facilities and teachers. Nguyen Thi Kim Chi, Director of central Nghe An province’s Department of Education and Training said that the department has faced difficulties in teaching staff and infrastructure when carrying out the programme, especially in mountainous areas. Under the new programme, students from primary schools to high schools will be trained on five main qualities, including patriotism, kindness, hard work, honesty and responsibility. Students are to develop areas such as motivation to learn, communication and cooperation, problem-solving ability and creativity, language and calculation skills, information technology knowledge, and physical and mental development. The programme will be divided into two phases, a basic phase from grade one to grade nine and a profession-oriented phase from grade 10 to grade 12. The programme reduces the number of subjects and divides each subject into optional and compulsory components. At the conference, many representatives of local departments of education and training said that they needed more time and guidelines to implement the programme. Pham Van Hung, Director of central Thua Thien – Hue province’s Department of Education and Training, said that the postpone of one year would create more time to train teachers about the new programme. Currently, there are 1,700 teachers that need to be trained, and schools need time to upgrade or build educational facilities suitable for the programme, which was designed with two classes per day. 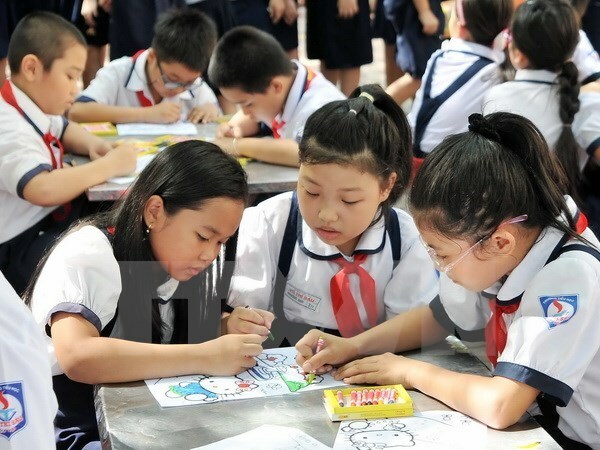 Nguyen Thi Minh Giang, Director of southern Kien Giang province’s Department of Education and Training, said that the new programme required new curriculum and textbooks. Thus, the ministry should implement each part of the programme to ensure its success and feasibility. At the conference, Deputy Prime Minister Vu Duc Dam said that the ministry should carefully consider the programme and possibly propose that the Government delay its implementation. Regardless of whether the reform programme is delayed, he said, teachers should reinvigorate their teaching spirit and work to improve the educational sector.